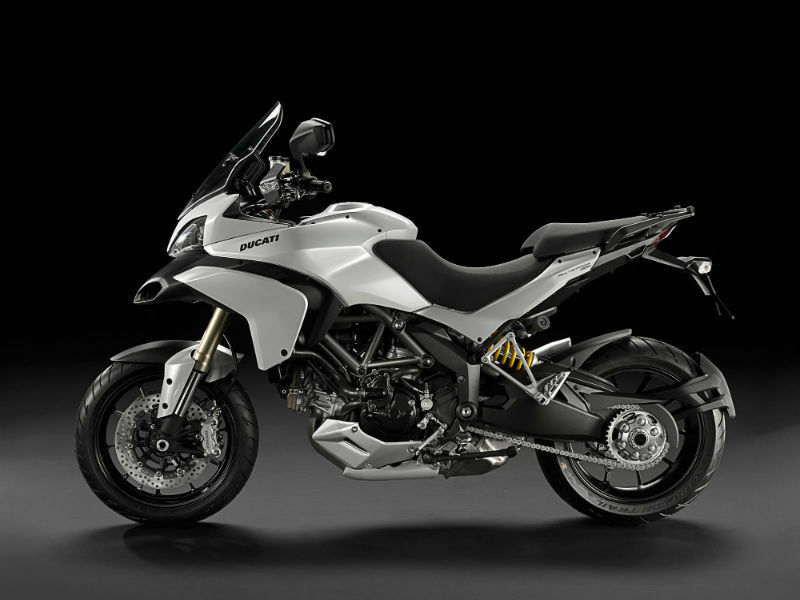 Multistrada 1200 of Ducati is the most popular and highly appreciated vehicle of the recent years. With the superior quality, performance oriented engine and attractive design, the bike serves all the purpose for any tough road. The very first glimpse of the bike has the power to make everyone go made about and this is the greatness about it. The electronic suspension and great traction used in the designing of the motorcycle acts as a true game changer. In fact it is it's ergonomically structure and powerful suspension that makes it the most sought out bike around the globe. The Multistage 1200 is equipped with 1198.4cc, liquid cooled, 4 stroke, L twin cylinder engine with four valve per cylinder. The desmodromic system used in the engine takes care of opening and closing of values without depending on the spring thereby increasing the efficiency. The maximum power output from the engine is about 110.3 kw at 9250 rpm and the peak torque generated is 118.7 Nm at 7500 rpm. The electronic interface namely the Ride by Wire used between the twist grip and engine decides the ideal power for the particular riding mode thereby assuring greater performance. The good looking, stylish motorbike Multistrada 1200 is known for its relaxed urban looks which serve as a major attraction. The super trendy structure of the engine and front portion of the bike makes every rider look like a super hero. The classic black combination for the engine, wheels and other naked parts guarantee a macho look for the vehicle. The super attractive headlamps and tail lamps are other noted factors about the vehicle that add value to it. On the whole it is one of the most elegant bikes of the season. 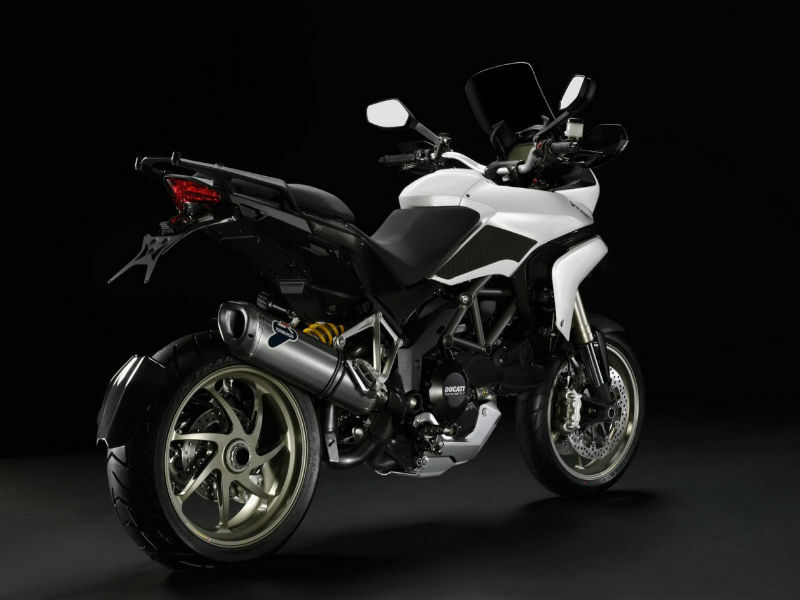 Riding a Multistrada 1200 is a great satisfaction for every rider. The separately designed seat for the rider and passenger is the first attractive and comfortable feature of the vehicle which is highly appreciated. The well structured ergonomics including the handlebar, seat and footrests assures more comfort thereby providing good experience. The well designed fuel tank, magnesium sub frame and light weight construction are other noted features about the easy handling of the vehicle. Further the strong suspension and braking system cater to the great riding experience. The exact mileage provided by this classy bike is not known. 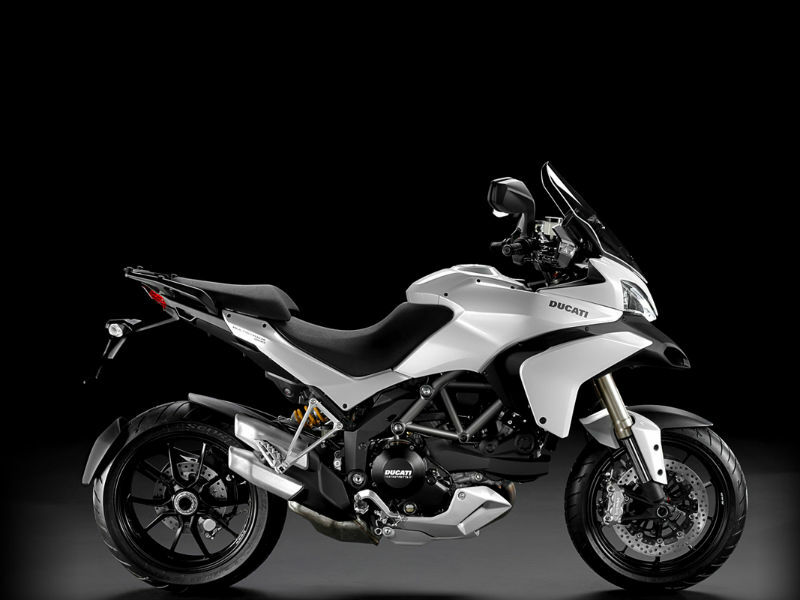 The super stylish bike Ducati Multistrada 1200 is available in two refreshing colors namely Red and Arctic White. The ex-showroom price of this vehicle is about Rs. 20,06,000.